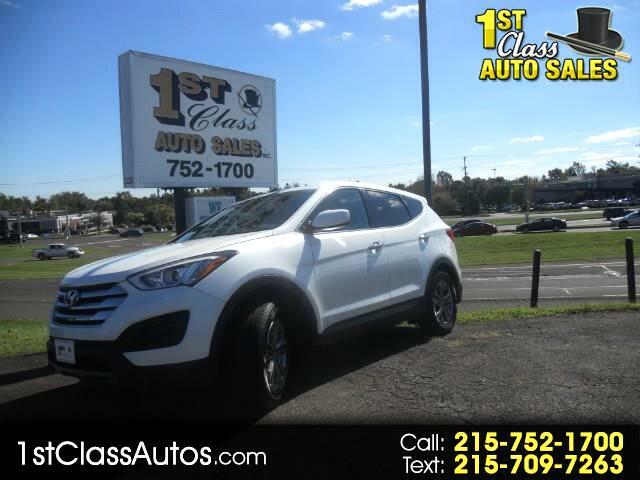 TAKE A LOOK HERE . . . . A GORGEOUS SPORT SANTE FE AWD . . . . THIS PEARL WHITE BEAUTY HAS IT ALL GOING FOR IT / / / POWER WINDOWS / / / MAG WHEELS / / / BLUE TOOTH / / / CD PLAYER / / / AWD AND MORE . . . DO YOURSELF A FAVOR AND GET IN HERE TO CHECK IT OUT !!! EZ PAYMENT PLAN AND YES A FREE WARRANTY TOO !!!
" THIS GORGEOUS SANTE FE HAS BEEN REDUCED DRASTICALLY " TAKE ADVANTAGE TODAY !! !